*Full disclosure: Zipz is owned and operated by the Scott & Jenae Huskinson family from Logan, UT, who are my uncle and aunt. I did not do any of the design work for the business. 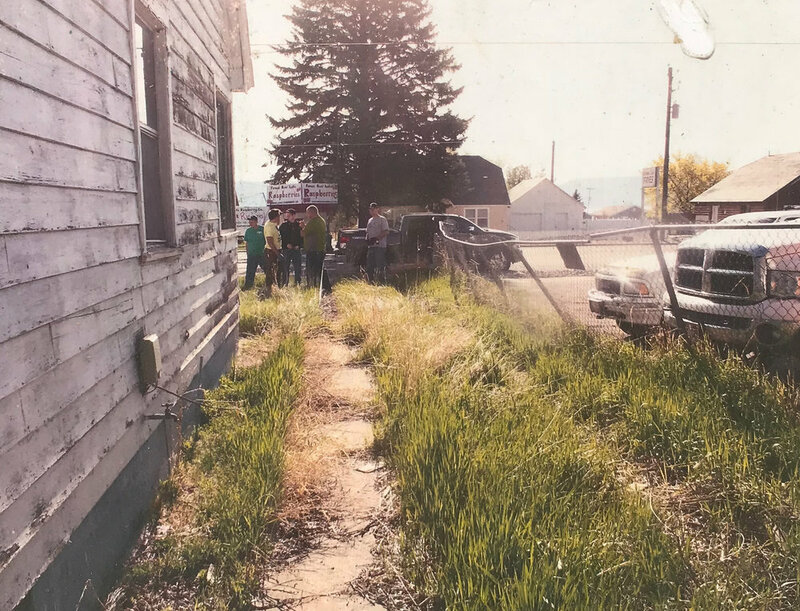 After reading the above disclosure, you might wonder why in the world I would want to write about this little restaurant in tiny Garden City, UT? Really, it’s a valid point, especially considering I did none of the design work for the business. Every once in a blue moon businesses and business owners come along that have amazing vision for potential, and with that vision they are able to transform everything around them. This is one of those “blue moon” situations. I’m hoping by the end of this post you will understand what I’m talking about. Let’s start off with Garden City. It’s a tiny, one main road, one stop light, lake down town of less than 700 permanent residents right off the coast of the beautiful Bear Lake. It sits just a few miles inside the northern Utah border. During the summer months the small population swells into the thousands as vacationers come from all over to enjoy the warm lake, gorgeous weather, and Bear Lake’s famous raspberry milkshakes! For decades Garden City has accommodated all of these visitors with very little change to the existing restaurants, grocery stores, and overall visual appeal. Why fix it if people are gonna come anyway, right? Mainstays like LaBeau’s, a little burger joint, sat unchanged for years, falling into disrepair, but it didn’t matter because the people always came back. Now that you have a better image of what this little town is/was like for so long, let’s give a little background on my Uncle Scott. For as long as I can remember, Uncle Scott has always pursued unconventional means of supporting his family. For years he hand crafted rustic Christmas tree ornaments and other rustic home decor and sold them. My parents still use them to this day during the holidays. He also sold fart machines (my brother and I made many people uncomfortable with those), and Tooth Fairy Teeth (very realistic fake teeth that were custom molded to fit your mouth) to name a few. The list goes on, but suffice it to say, he is an entrepreneur through and through. In the early 2000’s, LiveStrong bands were sweeping the world. I was in my early high school years, and it seemed like anybody who was anybody had one of them adorning their pre-pubescent wrists. After years of making and selling so many different unusual products, Uncle Scott saw the LiveStrong band trend and realized that people would kill to get custom bands made for whatever they wanted. Thus, Reminderband was born. This was the lightning strike that ignited the wildfire of ideas for Scott. Reminderband exploded in popularity filling a gap in the market at the exact right time. As the company grew, Scott always knew that this was just a trend and that it was only a matter of time before it would begin to fizzle out. So he and his partner began brainstorming what else they could do with the same silicone they used for the wrist bands. It took them a while, but eventually they developed their idea for totally custom cases for the then still in its infancy, iPod. The idea took the shape of Ifrogz, and eventually grew to include Ear Pollution Headphones as well. Both companies took off, and Scott had finally found lasting success. Fast forward a few more years, and Ifrogz and Ear Pollution had made enough of an impact on their market that they were both purchased by Zagg, a fellow electronics accessories company! After years and years, Scott’s never ending hard work had paid dividends. Whew! Are you still with me? Ok, now that we have established the location and the business owner, let’s get into the nitty gritty. After Scott sold his companies, he wanted to create something where his kids could learn the value of hard work and gain important life skills like managing employees and inventory, customer relations, etc. This sparked the idea for a restaurant, and what better place to have the restaurant than at the nearby lake where they had their family cabin and beach house?! 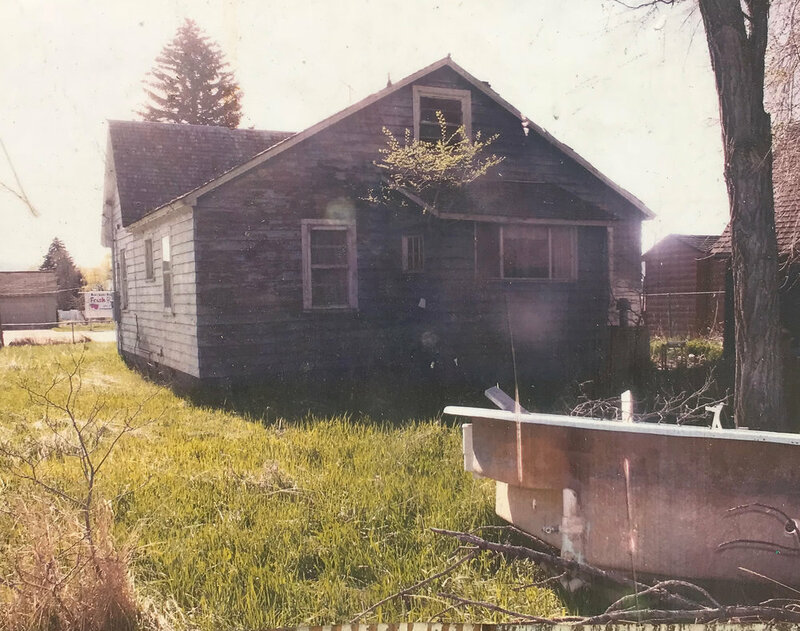 In 2012, Scott purchased this run down, disgusting 1925 house that sat right on the main drag of Garden City. This sits right next to one of the most popular restaurants in the town, believe it or not. 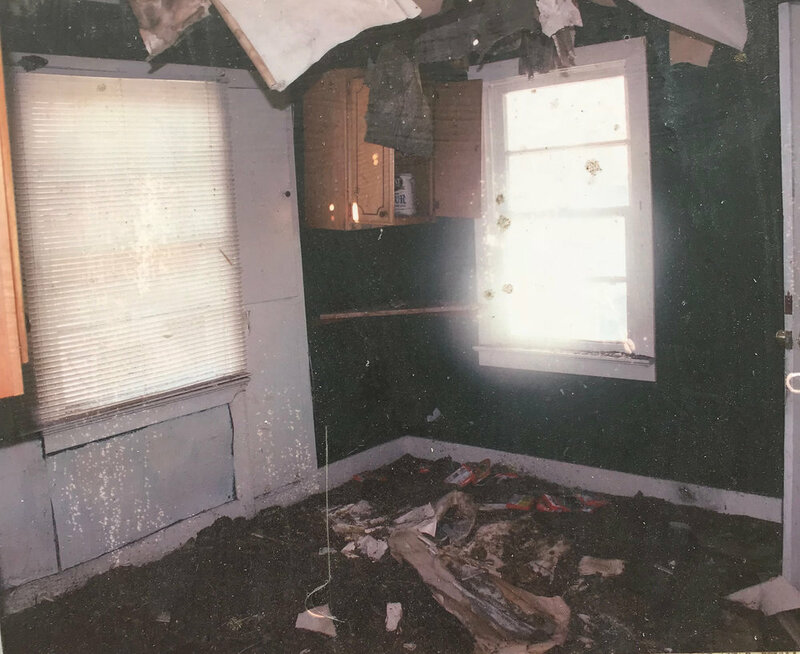 No joke, this house was typically inhabited by strung out drug addicts, rodents, and all manner of nastiness. 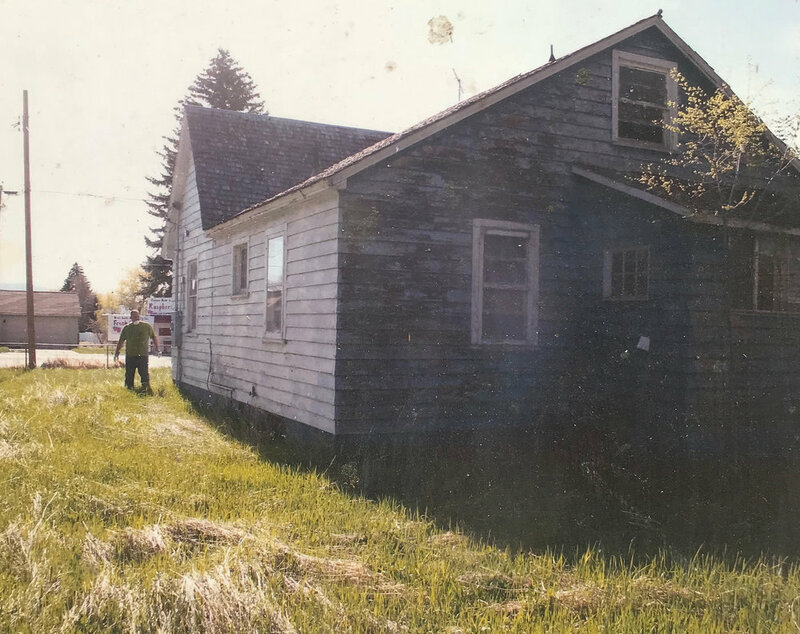 Scott, being the visionary that he is, saw the potential in the good bones of the old house. Take a look through the horrifying before images. Suffice it to say, it was going to take some major work. Over the next two years, massive (and I mean massive) renovations took place to bring the house back from the depths of structure hell. Obviously, all of the nastiness was eradicated and the inside was gutted in order to bring everything up to code for restaurant standards. Now, this blog post is not just about Extreme Makeover Home Edition. It’s about the impact that one business can have on its surroundings. After two painstaking years, Zipz finally opened. The small town and the vacationers were blown away by the attention to detail, and how the Huskinsons were able to incorporate nostalgic elements from the lake town to revive a by-gone era. For example, during his time spent at the lake throughout his life, Scott had noticed all sorts of old and run down boats dotting the landscape. Always the tinkerer, Scott purchased a heap of these boats since all they were doing was littering fields and driveways. With them, he created eating booths, condiment stations, and he even stuck one at the top of his sign! AND to add the pièce de résistance, it rocks back and forth as if it’s on the water with a spinning propeller. IT FREAKING MOVES, GUYS! Who thinks of this kind of stuff? Scott does. All day, every day. Also, my sister makes her stunning debut in the gif below. You’re welcome, Jaz. From all of his years of doing seemingly random jobs, Scott picked up some very useful skills like welding, woodworking, antiquing furniture, general fabrication, and more. All of these skills, and more, were put to the test as he started creating an unforgettable ambiance. From tables made from reclaimed wood, menu boards with corrugated steel awnings, freaking antique boat booths and condiment stations, and fences made from vintage water skis. Everything was build by Scott and his family. And on top of all of this, he also loves to cook and has developed some one-of-kind recipes to boot! Don’t even get me started about his incredibly delicious Buffalo Blasts. They. Will. Change. Your. Life. Of course, I would be remiss if I didn’t post a veritable cornucopia of pictures I took during my families latest vacation to Bear Lake & Zipz. No detail was left unchecked. Even the garbage cans match his branding!! My family getting ready for grub! The first summer that Zipz was open, I think everyone was just trying to take it in because of its stark contrast to the rest of the restaurants and town in general. It wasn’t hard to recognize the fact that they other eating establishments weren’t even on the same planet as Zipz when it came to aesthetic and brand. Change came slowly, but over the next 4 summers, I began to notice old burger joints getting new signage or maybe some new tables and umbrellas. And this last summer, I noticed new branding for two convenient stores, updated menus, new paint, new fencing, etc. Anything they could do bring things up a notch. The whole restaurant drag strip and town had morphed from a decrepit and extremely out-of-date place to somewhere you actually wanted to stay, hang out, and enjoy some great food. The town had become what it was in its hay day decades ago, and at the center of all of the change was the catalyst called Zipz. I wanted to write this post to not only highlight the amazing work that went into Zipz, but also to illustrate how investing in your outside appearance and branding can make big changes around you. Branding isn’t just pretty little drawings that designers do for fun, they are the very literal face of your business. Ask yourself these questions - Is your brand setting the high standards that everyone else has to try to catch up to? Or is it the decrepit and out-of-date brand that gives potential customers the impression that you just don’t care that much? If you think your brand is leaning more towards the latter, then let’s talk! Let’s make the needed changes so everyone else will need to catch up to you. People take notice when you take care of yourself by eating right, exercising, and wearing clothing that fits properly. It is no different when it comes to the brand of your business. Logos, uniforms, vehicles, headquarters. All of it is your brand, and all of it sends a message. Let me help you send the right one and start making change where ever you are, be it a small lake town or big metropolis. I want to be like zipz! If you like that post, check out these! An incredibly gifted Reiki Master based out of Idaho Falls, ID gets a new face and web presence for her business. From old and outdated to thriving vacation paradise. Read how one man’s vision for his business transformed an entire lake town getaway. Do you need a website so badly it hurts? You’ve heard of Squarespace, but all things interwebs freaks you out? I'm back with a new brand design for K'Lani's Frozen Desserts. I was approached a few months ago about designing a logo and some branding materials for a new business that was looking to sell the best Italian ice, gelato, and custard that SE Idaho and Utah has ever seen. Being a lover of all frozen treats this sounded like an intriguing and super fun project, so I heartily agreed! Acclima is a world leader in soil water content technology, however, their old look was not sending that message clearly. I worked with Acclima to develop a brand that told their story and made them look as advanced as their tech is. It doesn't matter how big or small your company is, sometimes you just need to bite the bullet and tackle your rebranding situation head-on. The longer you wait the more time, energy, and money is wasted on trying to keep a bad brand alive when you could be using those resources to promote a new, better-performing brand. Set your business up for success by budgeting for branding. Here are 3 reasons why. What is Scalable & Sustainable Branding? Why is it that so many small businesses have such horrible logos and branding? In my experience, most small business owner's don't know how to build a successful brand and have no clue where to turn for quality graphic design services. So, what can you do different? Visual Brand or Just a Logo? What's Best? As a small business, take a minute to think about your competition. Do they have a great logo with fantastic supporting brand elements forming a great creative brand? How does your brand compare? Would you be reticent to put your brand and their brand side by side for potential customers to look at? Do your brand and marketing materials instill trust and confidence because they are well designed and look like you put time and effort into them? If not, you might be losing out on customers because, whether we like it or not, they put a lot of stock into the outward appearance of a business.